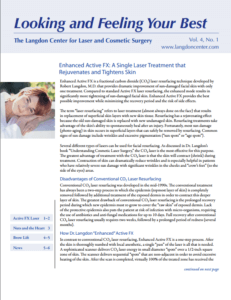 While procedures like facelift, neck lift, eyelid lift (blepharoplasty) and brow lift are excellent cosmetic options, there are a variety of non-and minimally invasive facial rejuvenation options at The Langdon Center for Laser & Cosmetic Surgery in Guilford, CT, that can delay traditional surgery for certain patients. Curious which may be right for you? Keep reading! Introducing new ThermiSmooth, the non-invasive way to tighten loose, sagging skin on the face and neck. ThermiSmooth utilizes safe, effective radiofrequency energy to non-surgically tighten the skin. Often compared to Ultherapy®, ThermiSmooth offers significant results but is considerably less painful than Ultherapy. For the best results, we recommend a series of treatments at regular intervals. The Precision Tx is exactly what it sounds like – a non-invasive, non-surgical laser facelift that yields significant results with very little downtime. Precision Tx can tighten skin on the neck and lower face, reduce the appearance of fine lines and wrinkles, and create a defined jawline, thereby reducing jowls and the dreaded turkey neck. The laser facelift procedure usually takes less than 2 hours and afterwards you can resume your normal, daily activities. Best of all, results can last 5-10 years with optimal treatment. Don’t believe us? Just check out these incredible before and after photos! Utilizing the latest cosmetic injectables like BOTOX® and dermal fillers such as Juvederm®, Restylane®, Radiesse®, Sculptra®, VOLUMA™ and more, board-certified CT dermatologist and cosmetic surgeon, Dr. Robert Langdon can dramatically reduce signs of aging like fine lines and wrinkles with little to no downtime. A liquid facelift, or “liquid lift”, can eliminate smile lines, frown lines and crow’s feet as well as restore volume for a more youthful complexion. This non-surgical skin rejuvenation treatment is popular before special occasions like weddings, holiday or birthday parties and reunions. Curious about any of the treatments discussed in this blog? 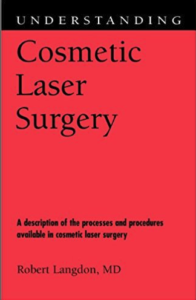 Schedule your consultation today to get started!